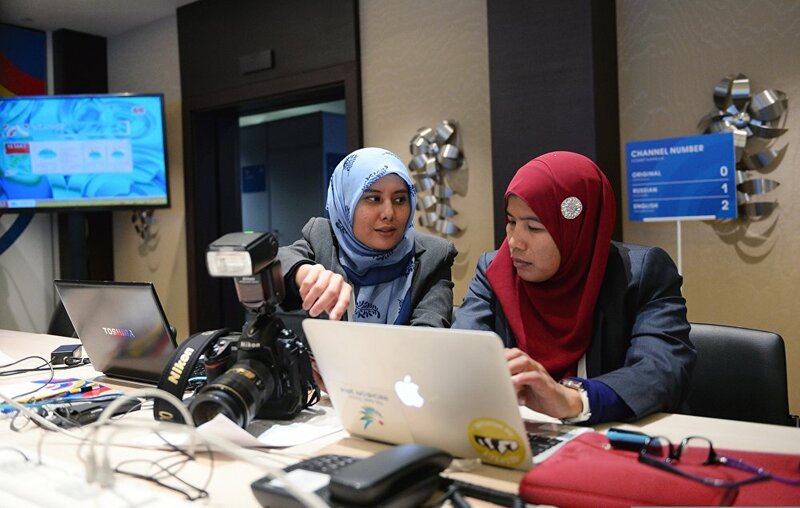 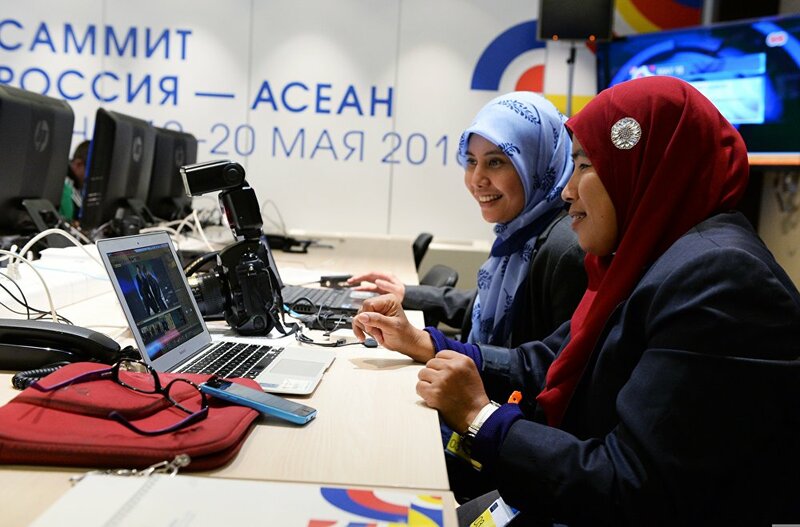 Journalists work at the International Press Centre for the ASEAN-Russia Summit in Sochi. 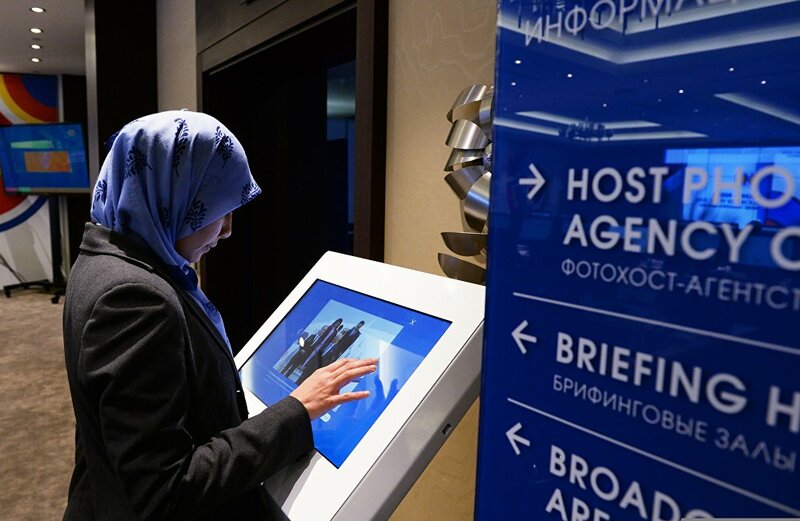 A journalist uses the photo terminal at the International Press Centre for ASEAN-Russia Summit in Sochi. 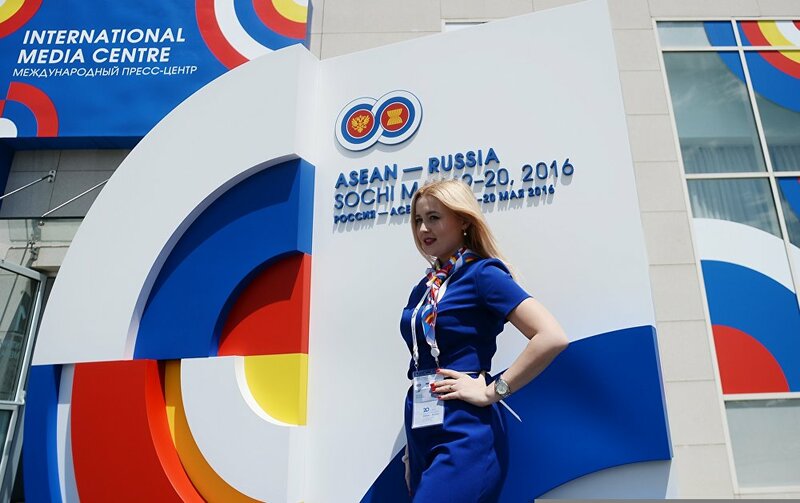 At the International Press Centre for the ASEAN-Russia Summit in Sochi. 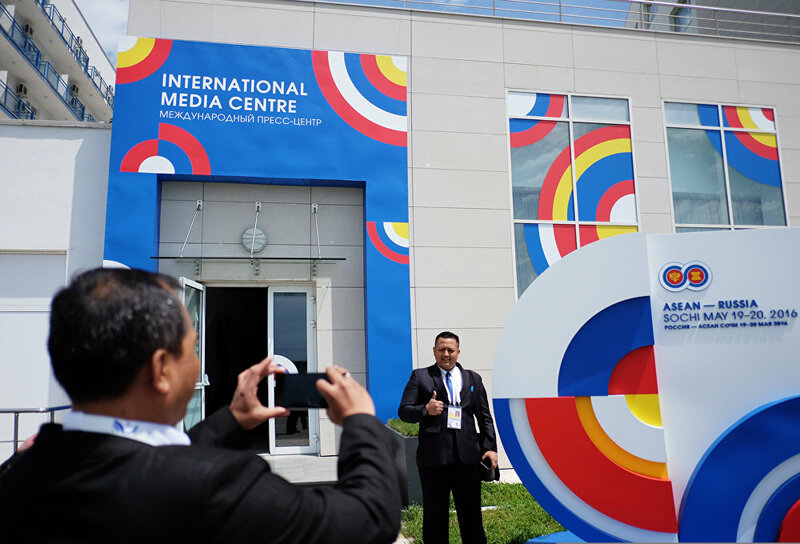 Journalists take photos at the International Press Centre of the ASEAN-Russia Summit in Sochi. 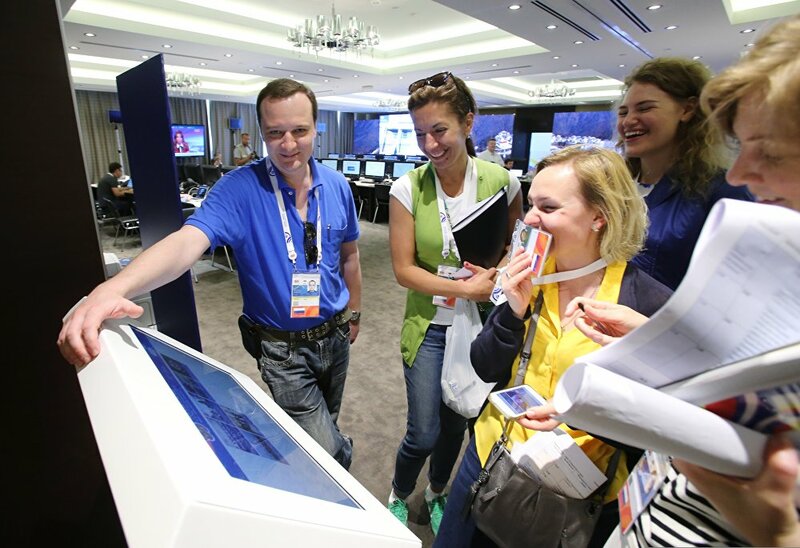 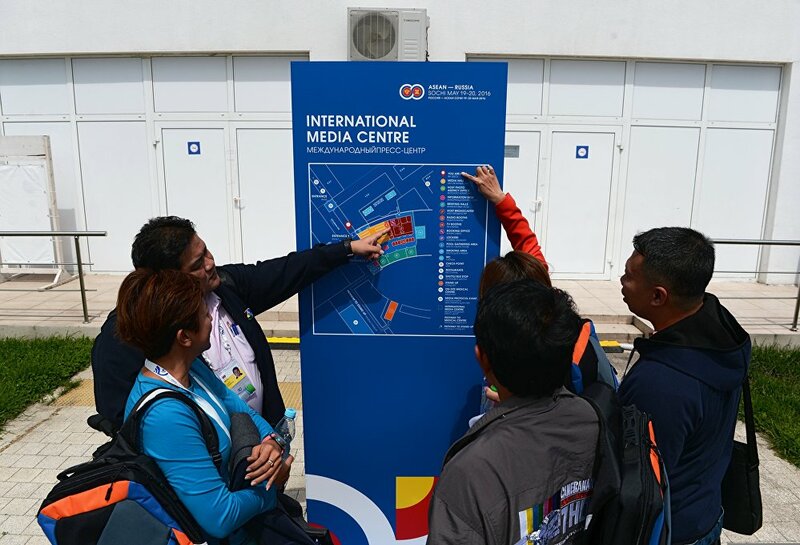 Journalists look at the plan of the International Press Centre of the ASEAN-Russia Summit in Sochi. 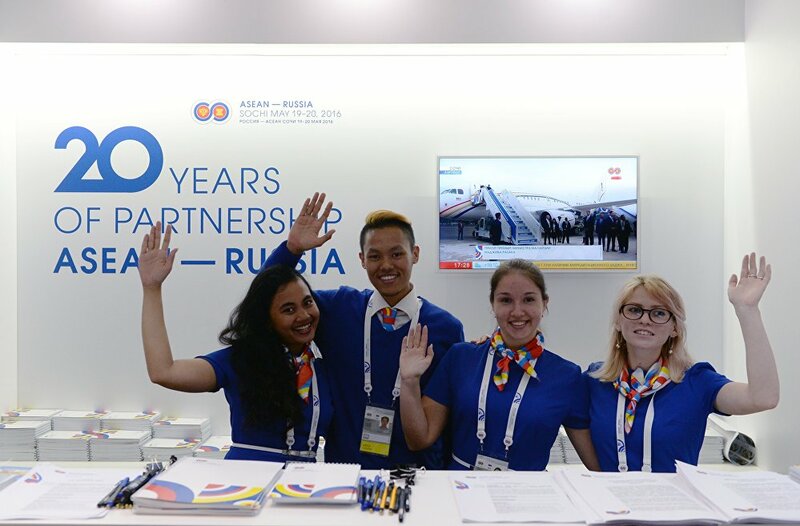 A volunteer near the stand decorated with symbols of the ASEAN-Russia Summit in Sochi which was installed near the entrance to the summit's International Press Centre. 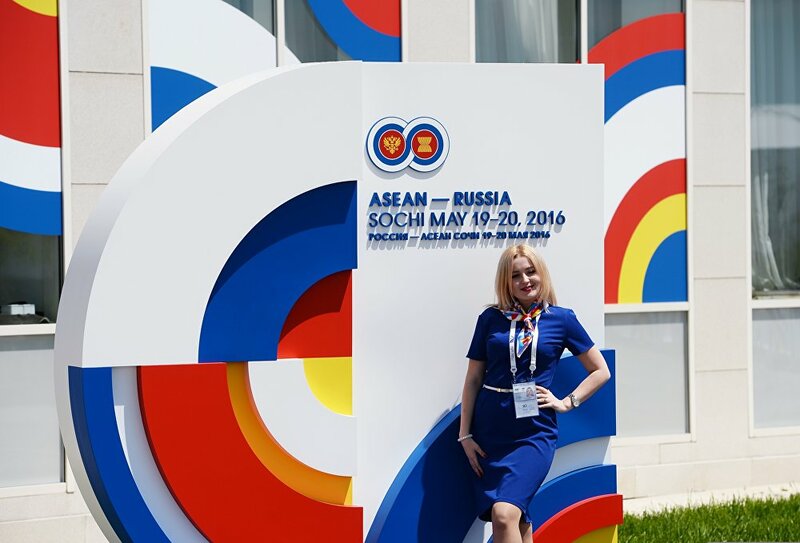 A journalist poses for a photo near the stand decorated with symbols of the ASEAN-Russia Summit in Sochi which was installed near the entrance to the summit's International Press Centre. 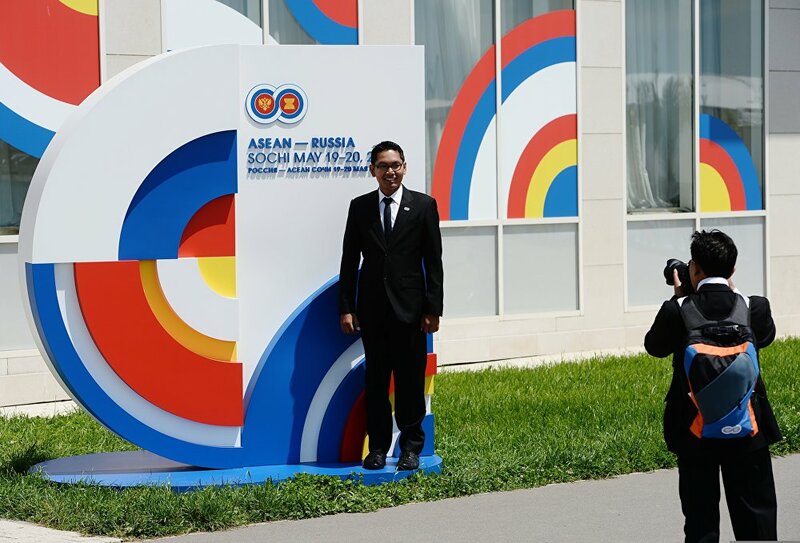 Summit participants pose for a photo at a stand with the logo of the ASEAN-Russia Summit outside the summit's International Press Centre in Sochi. 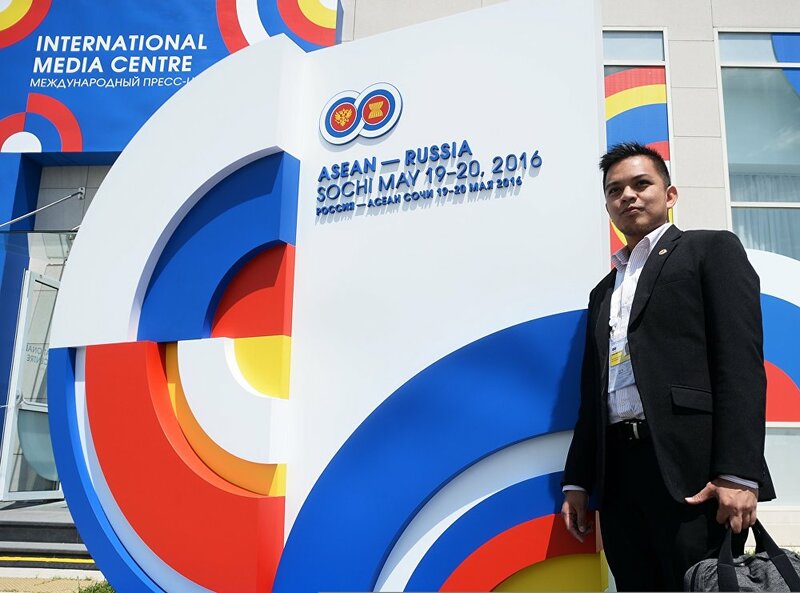 A volunteer at a stand with the logo of the ASEAN-Russia Summit outside the summit's International Press Centre in Sochi. 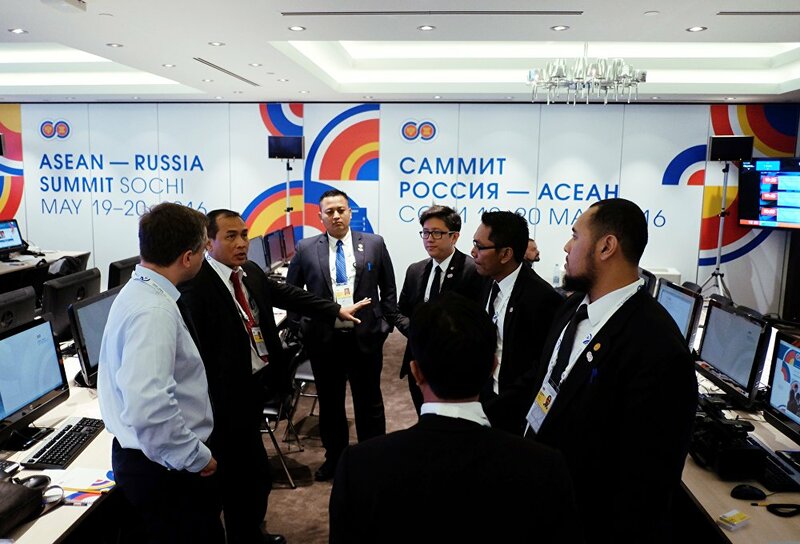 Journalists at the ASEAN-Russia Summit International Press Centre in Sochi. 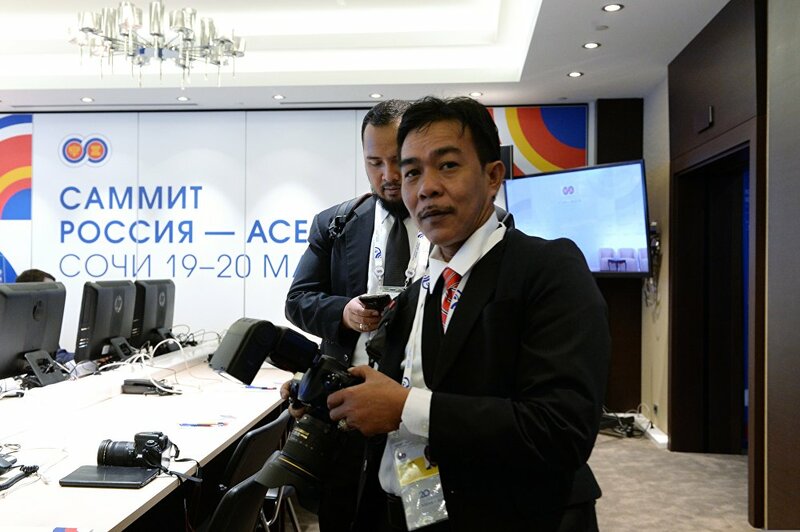 A journalist at the ASEAN-Russia Summit International Press Centre in Sochi. 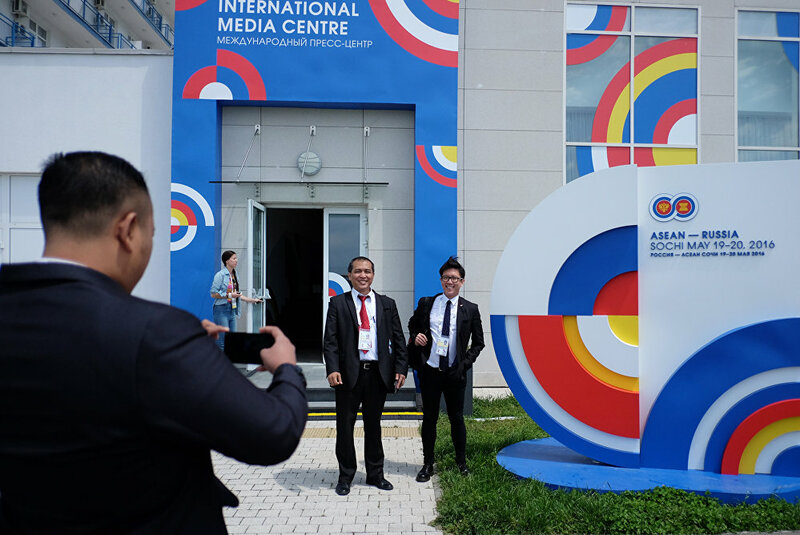 Journalists pose for a photo outside the ASEAN-Russia Summit International Press Centre in Sochi. 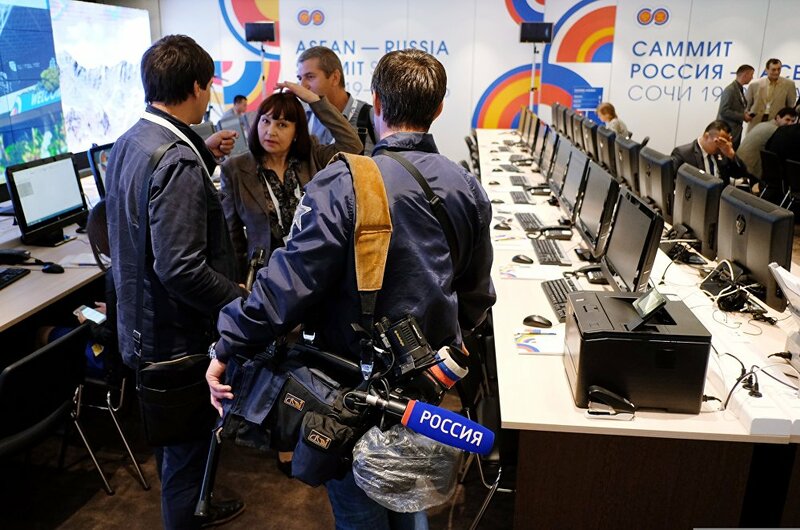 Journalists at an information desk at the ASEAN-Russia Summit International Press Centre in Sochi. 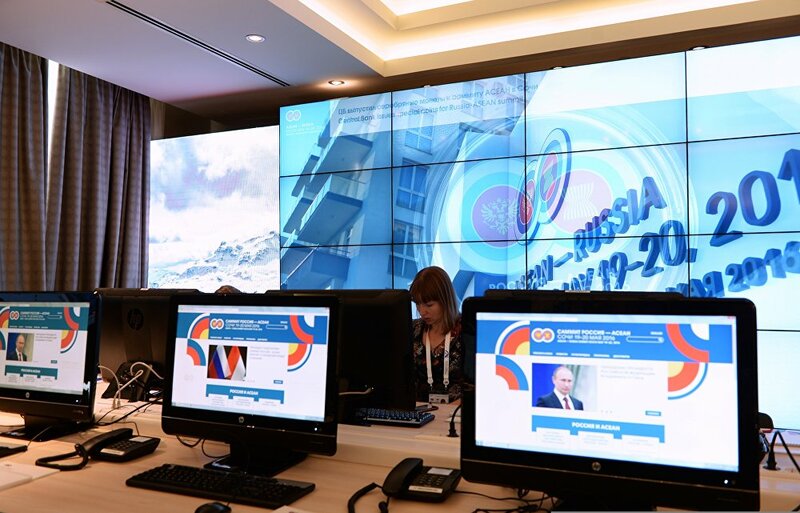 Journalists at a photo terminal at the ASEAN-Russia Summit International Press Centre in Sochi. 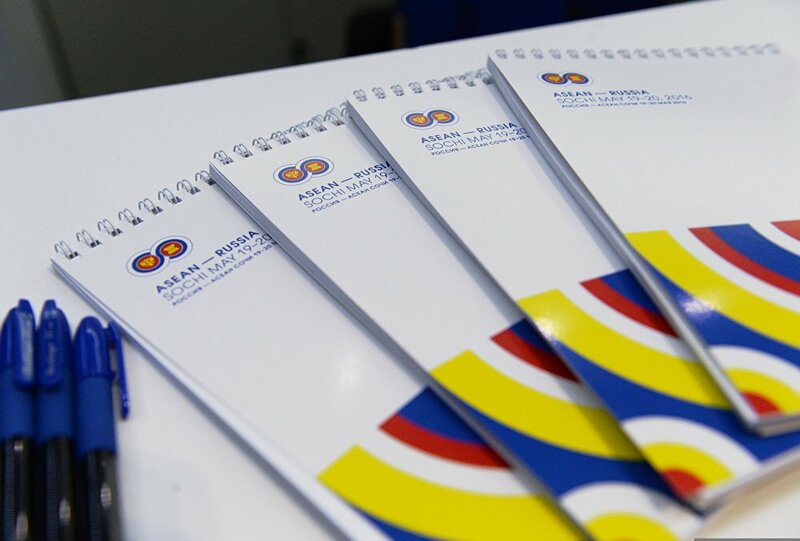 Notebooks with a ASEAN-Russia Summit logo at the ASEAN-Russia Summit International Press Centre in Sochi. 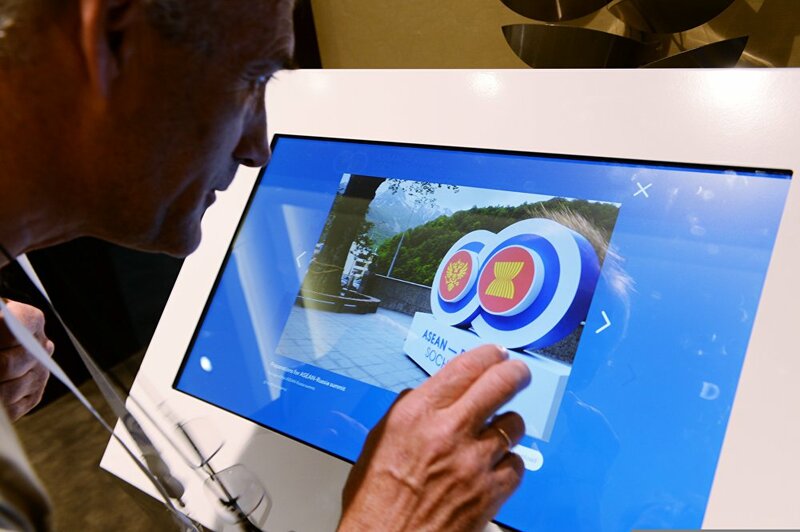 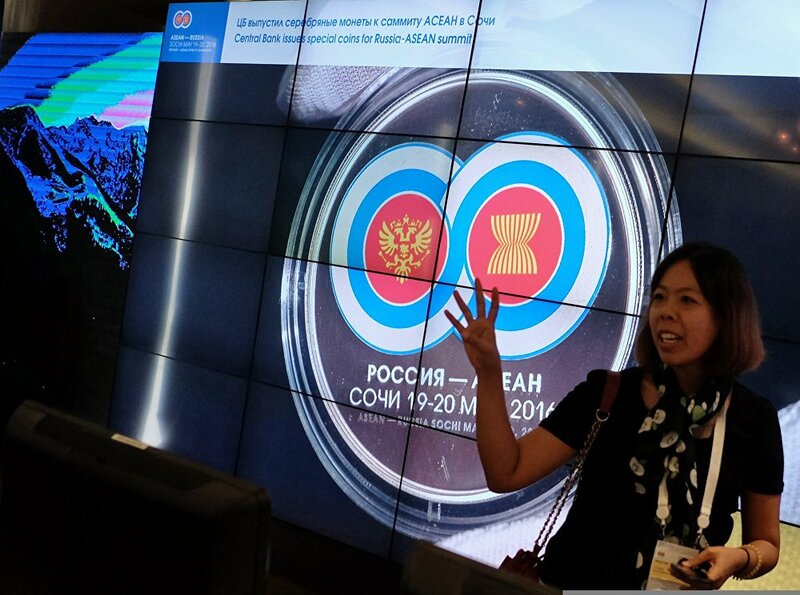 A journalist reviews photos of preparation for the ASEAN-Russia Summit on a photo terminal at the ASEAN-Russia Summit International Press Centre in Sochi. 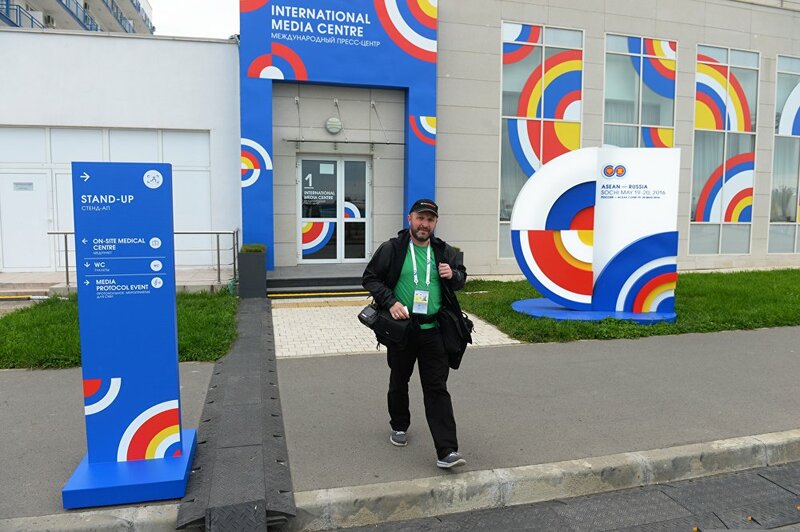 World Press Photo winner, Rossiya Segodnya photographer Vladimir Pesnya outside the ASEAN-Russia Summit International Press Centre in Sochi. 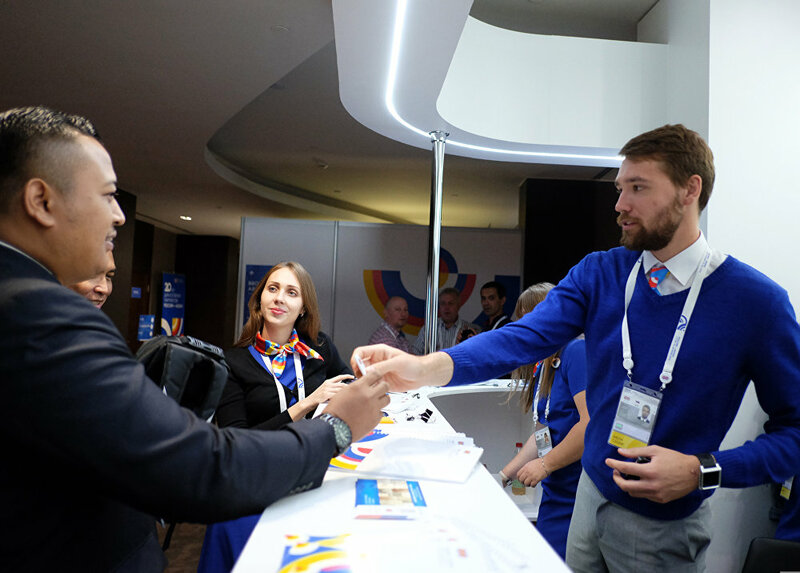 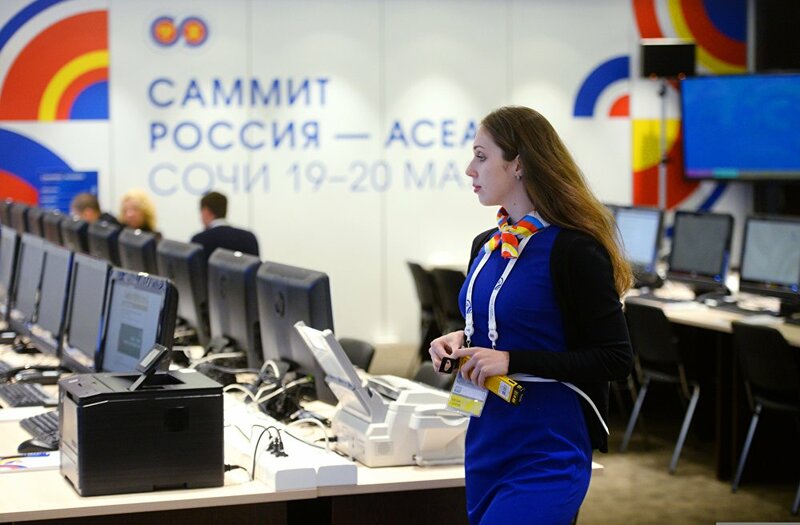 A volunteer at the ASEAN-Russia Summit International Press Center in Sochi.